As I prepare to host Thanksgiving once again, I think about how the holiday has changed over the years. Traditionally the day is marked by a scrumptious feast with a turkey in the spotlight. Increasingly, in many households, there is greater focus on vegetable and grain dishes to please those who prefer a healthier cuisine and for the vegetarians around the table. Creative holiday recipes abound on TV food channels and the Internet! Whether your holiday menu will include turkey or tofu, be trendy or traditional, or contain elements of all of these, safe food preparation is a must. And remember, food safety is not just about meat, poultry and seafood. A 2013 study by the US Centers for Disease Control and Prevention concluded that between 1998 and 2008, vegetables accounted for the single greatest percentage of foodborne illnesses, although meat and poultry were responsible for the greatest percentage of deaths. 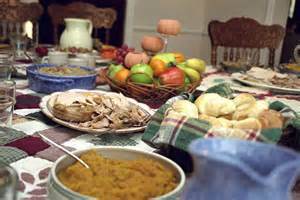 Help keep Thanksgiving healthy and happy by following the food safety tips below. Clean – wash all food contact surfaces with hot, soapy water followed by sanitizing with 1 tablespoon regular strength or 2 teaspoons of high strength chlorine bleach in 1 gallon of water. Do this before and after working with raw foods. And don’t forget to wash all fruits and vegetables with tap water, even the pretty grapes you might use for decoration. Cooking destroys many pathogens, but we eat many uncooked fruits and veggies in salads, for example. Separate – keep fresh fruits and vegetables separate from raw meat, poultry and seafood. Cook – to kill any bacteria that might be present, thoroughly cook meat, poultry and eggs to the appropriate temperature. Chill – refrigerate leftover perishables at 40 degrees Fahrenheit within 2 hours of cooking or serving. This safety tip is a difficult one to remember at Thanksgiving. It is often a time to linger over food with family, but tear yourself away from the table and put those leftovers in the refrigerator within 2 hours.